Guys this PPDT image is sent to me by one of my Friend Shailedra Rajput, he was following me since one month and was preparing for his SSB Interivew . He writes really well and i appreciate his work. I have uploaded a series of PPDT sample Images with Story for Practice you can refer to my previous stories for better Practice. here i am uploading three images which are mostly asked in PPDT round of SSB. Practice more and more PPDT images for best results. PPDT Image 1: PPDT story on a Tonga Accident scene. Sanjay is a school boy of class 9,he was on his way to school when he saw a speeding maruti car is moving on a road got collided with rickshawala which was coming from front,the car instead of stopping tried to escape from the accident area, sanjay immediately noted down the car number,called for ambulance and gave the number to nearby police station,with the information given by sanjay police track down the driver and sanjay was awarded and praised for his work. Arun lives in a small village in maharastra,he along with his friends decided to go the riverside of their nearby village, it was morning time and all of them were enjoying, run then saw dead fishes lying along the bank of river, he went near the river and jumped into it, what he saw was unbelievable for him, the river water which is going to his village, which they are using for every purpose is being polluted by the nearby factory setup, he with his friends went to village sarpanch and informed about the threat and consequences. The result were in favor of arun and the industry discharge was banned into the river arun was praised by sarpanch for his work. PPDT Image 3: Sample PPDT image of a person sitting on chair. Sonu is an design engineer and working for IKY solution, he has been assigned an project which should be completed within one week time, he is designing a fuel efficient car, sonu is working late night in the offices so that work could be completed in stipulated time, he does not even have the time to sleep, he sleeps while in sitting postion,the work load had put him down but he keep himself motivated by thinking the fact that he has ability to design the fuel efficient car, after completion of his work within time he showed the presentation and design to his boss, boss was very happy with his work and promoted him and awarded him. 53 comments to ''How to Write Good PPDT Story: 3 Sample Images with Positive Stories"
Amazing Article and very useful information !! I would like to share one story about the same picture. Kindly check and give some reviews.....! Sunny is an scientist at ISRO. He thought to make an research on Drones (Drones are more formally known as unmanned aerial vehicles (UAV). Essentially, a drone is a flying robot.). With the help of same, he can use the same drones at border areas for terror threats. Sunny is working late night in the ISRO offices. So, he can complete it with in less time. He does not even have time to sleep or eat. Maximum time, he sleeps and eat at their own desk. This project had made him down but he keeps motivated by thinking the fact that in future, no need to buy the same drones from outside the India. After one month, he has completed their project which is of actually three-four months. His work was appreciated by PM Narendra Modi and also, honoured by "Padam Shri" award at Rastrapati Bhawan. 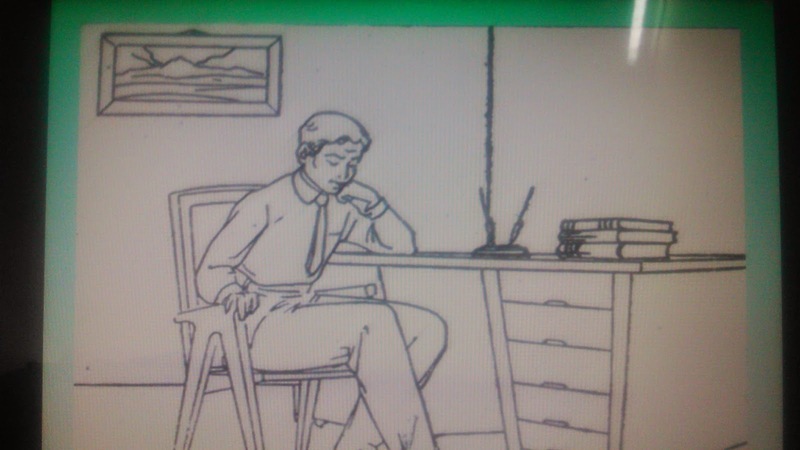 I wrote it for last picture "The man is sitting on chair and thinking...! Heartiest thanks Mr. Tomar. But, please give me some very important tips. What should I need to do to make my story more effective? What are the key points? I am shortlisted for Indian Army SSB. Day after tomorrow, I'm going to attend the SSB at Allahabad. I have already screened out, two times. Please give me a key factor by which I can generate a good Ideas. Okay! Thanks for the suggestion. Let me check. This is last SSB. I'll use all factors and key point. Ram Naresh is a salesman going to his work on his scooter . 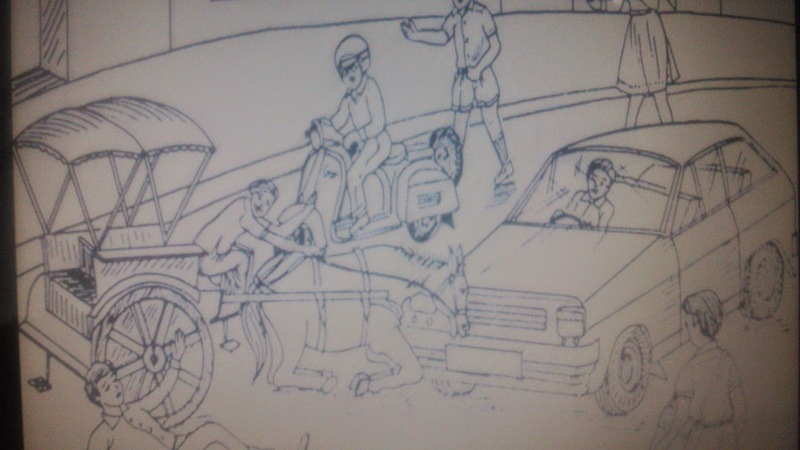 On the way he saw a road accident of a tonga and a car in which the horse and the boy sitting on the tonga are injured . Crowd has gathered the incident and road got blocked leading to huge traffic . Ram Naresh came to the spot and then with the help of public in crowd he put the injured horse on the side and called the vet to check the horse . Also he asked the person with car to take the injured bot to the hospital . the horse got well and the boy was also fine . Then ram Naresh helped to get the traffic free on road and then went to work . Ram naresh is a salesman going to his office for work on his scooter . On the way he saw a road accident of a car with a tonga and a boy injured after felling from the tonga . Crowd had gathered around the incident and road was blocked . Ram naresh then came to the spot with the help of public in crowd put the injured horse at the side and asked the person with car to take the injured to the hospital and called the vet to check the horse . The horse got well and the boy also got fine and the traffic on the road alos got clear . Ram naresh then went back to his office . krishna i think story should be centric to the picture shown. I may pls be corrected if iam wrong. is it possible a person study in his room with professional dress>>>? krishna there are certain mistake in this story..like dun write MNC company..be specific and write the name of MNC coz this type of situation depicts about your personality angularity like your thoughts are not precise ...and dun write small software company ..let the psychologist decide eheather it is small or big..write simply a software startup..and finally the main cause of story..show some efforts what he produced to regulate his software startup..
Amar sharma a 22 years old final year B.tech student, who is placed in a marketing company named Bluegape lifestyle pvt ltd. The company called him to join in his last sem. After joining, the company assigned him a monthly task to promote their new mobile app so that he could get 10000 downloads in a month. He is burning his moon light oil to make the strategy. Ultimately he succeeded nd showed up the whole plan to the higher authorities of the company. His work was appreciated and rewarded with extra incentives. MR.GAURAV JHA I would like to add a suggestion to your story. Thanks for sharing this great read with us…. Subash is boy from a small village of class 7, he was enjoying with his friends. He went near the river andsaw the water polluted due to the letouts from the cement factory in the village . He designed a inexpensive model for the polluted river water treatment . He represented his village at the district level , won scholarshipand asked the sarpanch to apply this and soon the people could get the water safe and clean. can we cite the story in our own language.... i. e hindi...???? I have cleared cds written exam for ota.Its my first time.I haven't got my call letter yet.I have not joined any coaching institute for ssb interview and preparing at home only.what i want to ask is though i have been an english medium student but i am not comfortable in speaking english.I can write well in english.I have heard that only english is allowed at ssb centres.Can't i speak in hindi which is my mother tongue ? Shankar a Hotel management student studying final semister at krishna college of Hotel management. He was selected by the welcome group of hotels from 680 students. He was kept waiting for his one to one interview with Mr srinivasan M.D of ITC group. Shankar waited for more than 6 hrs as Mr srinivasan is about to reach his office from the airport. Shankar with out losing his temperment kept meditating all the period. Finally srinivsan reached his office latly due to delay of his flight . Shankar was presented before him by his PA and Interview has gone well results were anounced after week at college as Shankar was selected as Assistant manager of Food & Beverage production. He was appreciated by his principal for his achievement and awarded letter of appreciaciation by college. Hi admin! 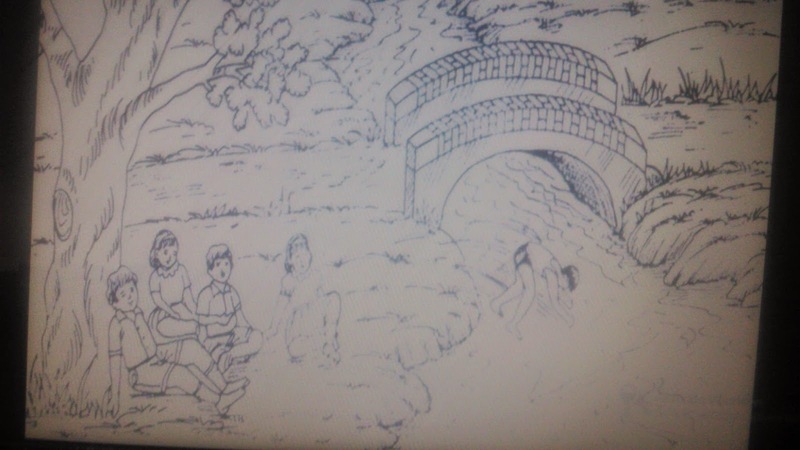 I have new story for your second picture "Group of children near the bank"
Sonu is 18 year old boy. Every day in the morning, he went for walk. One day, he saw dump of garbage near the bank of Ganga. Then, he decided to clean it up. He went back to his village and gather their friends and brief them about the situation. They went their and starts the cleaning of Ganga Bank. They cleaned all the garbage. Village Panchayat appreciated their work and initiative. for first picture i'm writing it ....ram is student of 9th class .He is so humble and always want to help poor people.one day when he was going to his school he saw a tonga and acr collided with each other due to that tonga man got injured lots of people gatherd there but no one go to help that person so ram just called the ambulance and admitted the tongaman into hospital and he save his life.due to this he reached late in his school so his class teacher ask him the reason behind it he told all the story his teacher praised and also awarded him best student of year on the annual function of school. grammar is not up to the mark #WENT Every day in the morning, he went for walk. my story for the 1st picture. In my view i saw 7 character on fly over.They are chariot man and customer,car driver,motor cycle man,playing boy and girl,school boy. one accident happened on fly over.here my hero is motor cycle person,he wear helmet and other safety material like jacket and shoes.Car driver is not wear the seat belt and he drive the car.chariot man gives wrong instruction to his animal.a boy and girl are traveling by the help of skate shoes but they also unsafety.a school boy is watching the chariot accident.Basically the fly over is one way.Because most of the people travel in same direction and their is no road dividers.my hero i.e motor cycle mam overtake the car,at that time he saw the accident happened.suddenly he on his motor cycle right indicator and park his bike side of the road return back to incident place.He helped the man and the animal,simple injured are happened,he provide first aide.He advice the chariot person about the road rules and how to identify the one way direction.By watching this advice the school boy easy to take over the road rules. Moral: Safety is need to all field and also beware in all time. Arav and his friends where playing near bank side of river,the ball fell in the river to collect the ball he jumped to the river.He found that water was contaminated and polluted,he knew that same water was used by village people for daily needs. Arav informed the threat and consequence to the panchayat. when they checked the water used to get polluted by nearby Factory by leaving toxic materials directly into the river.For arav awareness on environment and social responsible he was awarded by panchayat. Ravi who was an IT Engineer has always a dream to work in an R&D company and his dream got fulfilled. He was successfully been deployed in a project were he was given a task to advance the Router System. Ravi took that opportunity and start leading the team. He worked day and night and made the Router Advance with the previous one and later it was launched in the market successfully. With all this Ravis's manager was very happy with his effort and later he promoted and awarded him. rohan and his classmate from the same village one day decide to go the river side of their nearby village on sunday.rohan is a good swimmer and he wants to teach his friends swimming,and it is his predecided plan and they all are very happy that they going to learn new life skill which is very imporant. rohan just jumped into the water to demostrate them how to proceed with safety.at the end of the day rohan's friends feel much better and get confidence to swim and they keep coming their once they get time.after one month they are become a good swimmer.and they all thanks to rohan. Friends all your post are usefull THANK YoU. I wrote a story on the last pic of a person sitting on chair. Please give your valuable comments on it please. The story goes as- Ravi is a student in delhi university. Today when he was coming back to home he saw a child sitting on the footpath. The child did not had clothes on his body no shoes in his feet.he came home and sat on his chair and started thinking about different way by which he could help the child. Then he came up with an idea that one of his father's friend runs a NGO for children welfare. He called him. Next day NGO members took the child to center and provided him with clothes food shoes and also send him to school.